Im a Fan of Love Your Locks... Are you? Fill in the below form and you can recommend ‘Love Your Locks’ to a friend or family member via a text message. Show your support with a quick share of ‘Love Your Locks’. I have been seeing Maggie for a few years now and am always in love with the colour and cut! Her space is so comfortable and inviting. She will be doing our wedding hair in October and I have raved about her to all of my bridesmaids – they are excited to meet her! I suggest her to all of my friends who are looking for a more personal, out of the salon, experience. Maggie is amazing! I’m never disappointed with her work. I highly recommend her. Best stylist ever!! Maggie is a wonderful stylist. She always listens to me about how I want my hair cut and does it exactly how I ask. I recommend her to all my friends. I am so glad I found Maggie! From the first time visiting her beautiful in home alone, I knew I’d keep coming back. She has so much talent and has such a positive personality. My hair always looks perfect after seeing her and she always knows exactly what I want! If you haven’t tried Maggie yet, you are missing out!! Maggie is A-mazing!! Been going to her for years and keep going back!!! Friendly, professional and always “in the know” of the latest styles and trends!!!! Maggie always does my hair perfectly! She has done colors, cuts and even wedding hair/makeup for me. 10 out of 10! I dont trust anyone else with my hair. Maggie is the absolute best. Her attention to detail and eye for colour is impeccable. Love Maggie. Always satisfied with my hair ! Maggie is not only an amazing and beautiful person but she is my number one recomondation for a hair stylist. She listens to what you want and gives you what you’re looking for. Couldn’t thank her enough for always making sure I’m happy when I leave! Maggie is amazing! Best cut and color I have ever had, and I will not ever go anywhere else! maggie is amazing with vibrant colours and can handle anything i ask her to do! her talent is very noticeable and i highly recommend her! Maggie is amazingly amazing. Always a pleasure! Maggie is an extremely talented hair dresser. Her skills and amazing personality are to be admired. Great work always from Maggie. Love this place! I am super picky but I come out happy every time! I love love Maggie and her work. I have never left feeling less than 100% happy with my hair. She is a sweet person with a beautiful salon which I have recommended countless times. Beyond happy every single time I walk out of her salon! The colour knowledge she has, no matter what I walk in with, I come out looking 10 times better. I have got the trust in her, I walk in to say “Maggie these are the colours do what you think will look good” I love being able to trust and rely on Maggie to make my hair beautiful. Thanks Maggie!!! Maggie has been doing my hair for years and she always does an amazing job and never disappoints. I won’t go see anyone else. She is amazing at what she does. Absolutely love Maggie! She makes going to get your hair done fun! She isn’t afraid to do big changes or try new things! I also love supporting local business owners as opposed to big chains. Always a great experience with Love your locks!!! So relieved I found a hairstylist whom I can trust my hair with! I just got a haircut during my first visit, and I was so happy with how it turned out, the whole experience exceeded my expectations! Cannot go wrong with Maggie! Maggie is the best when it comes to cuts, colours, and styles. I am also please with whatever she does. The products she makes are also wonderful! Maggie is amazing, she listens to everything you say, answers all questions and never fails to amaze me with the final product. I will never change hair dressers and always look forward to my appointments. Maggie is beyond amazing. Used her for my wedding for hair and makeup and was was floored how amazing myself and bridesmaids looked! ! She’s very down to earth and is a person who actually listen’s and gives her opinion on styles to fit your face and shades to match your skin perfectly. I have recommended her countless times and have never been disappointed! She always does an excellent job with how I want my hair and all my girls loved her from my wedding did an amazing job for hair and makeup that day! I absolutely love Maggie! Drive for my appointments 40 min out of my way for her services. She is always up front and honest no matter what my crazy head wants! I’m a lifer! I had moved to Peterborough in 2012 and was looking for a hairdresser. There was recommendations of love your locks and the owner Maggie ran her business out of her home . This women has grown her business over the years by expanding, she has a fulltime job as a mother too . On weekends she designs the wedding parties hair and bride and does makeup . Maggie deserves this award because she is a strong devoted women to her company and her clients and goes above and beyond for them . Even days when ur not feeling 100% you leave her salon feeling like a movie star. Her talent is outstanding and she is very good with colour .I am a huge fan of this company because the owner and hairstylist is fantastic and shows compassion’s in her work. Supporting entrepreneurs and leaving the salon feeling like a new women every time ! Love your locks is only the beginning for this company in Peterborough ! Vote for Maggie Vanderbyl “ Love your Locks”! The kindest most friendly hairdresser I have met in a long time. I love going to Maggie for my hair and have always recommended her! She’s professional, knowledgeable and always makes you feel comfortable ! You can really tell she loves her job, It really shines through it the amazing work she does. Maggie just knows hair. She is always professional, her salon is clean and comfortable, and I always walk away happy. Professional, warm and welcoming setting. I’ve always received exactly what I wanted and she has been honest about what would suit me. She accommodates extra time when I’ve brought my wee one. She is very talented! Maggie is always a pleasure to see! She’s very outgoing and friendly on top being an incredibly talented hairstylist! Found my forever stylist right here! I have curly hair and have not had much luck with hairdressers in the past. Maggie quickly put me at easy and I wish I could make my hair look everyday as good as it does when I leave her welcoming salon. She also cuts my three kids hair we are in and out in 45 minutes with styled and happy kids. She is friendly, confident and always makes us feel at home. 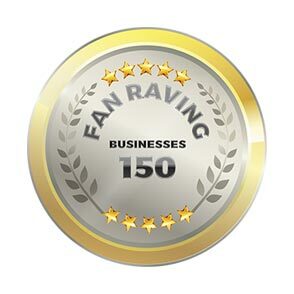 Great customer service and 100 % satisfaction. I love my new hair cut and style. Thank you! I have know Maggie for years and I won’t go to anyone else. I trust her with my hair! She will listen and do what you ask her. She is also so friendly and awesome. I can’t recommend her enough! Love Maggie and love your locks, she takes the time to make sure you get what you want. Have seen her for a long time – wouldn’t go to anyone else. Maggie is an amazing stylist! She has done my hair for 10 years and I am always in awe of how great I look when I leave. Just love Maggie! She always does an excellent job, no matter what I ask for. She stays up to date with trends. Her salon is beautiful, clean and cozy. I wouldn’t go anywhere else! Whenever I have a certain hairstyle/colour in mind Maggie goes above and beyond to ensure she fulfills that exact hairstyle/colour. I’m always impressed and never have been disappointed. I would highly recommend her to anyone. She’s compassionate and very friendly! Maggie is wonderful and has worked so hard to develop her business. She is very talented, kind and amazing at what she does! Maggie Scissorhands always beautifies me. I appreciate her flexibility in scheduling, her talent and our monthly updates. Good luck Maggie. I have been getting my hair done for as long as I remember by Maggie. Amazing service and wonderful results! Maggie is amazing!! I started going to her because she is highly recommended around town. I always recommend her to everyone looking to get their hair done. She is great at helping perfect hair ideas and she is passionate about her business and growing her business for the better. Never been happier with my hair, Maggie is the best! Maggie is an excellent hair stylist and business woman. She does great work and conducts herself and her salon in a very professional manner. Having worked with her for both special events (including my own wedding) and my regular hair care, I am thrilled with the service that she consistently provides. I am happy to recommend Maggie to my friends and family and believe she provides a 5 star service at every visit. Maggie is an amazing hair stylist! She has a wonderful personality and works with her clients to achieve the best looks possible. I’ve always had great results with her service and trust no other with my hair. I highly recommend love your locks! I started seeing Maggie in 2016 and I would never go anywhere else now! Maggie is incredibly talented and listens to what her clients want. She provides advice on hair care, colour & style that actually makes sense and is easy to follow. Her salon is always clean & organized and she is just the nicest person in general. Highly recommend Love Your Locks to anyone for any occasion! Maggie is absoluetly amazing at what she does. She listens to what you want and delivers everytime! She cuts my hair perfectly and just the way I like. Her salon is very clean, bright and well stocked with products. Maggie is very friendly, easy going and I just love going there! Maggie is great at what she does! She did such an amazing job at my wedding, and I always leave her salon happy! I recommend her anytime I can! Maggie is amazing. She makes you feel as if your just hanging out with your sister and your doing each others hair and make up. Shes professional, respectable, and reasonably priced. I always recommend her when someone is looking for hair and makeup for there wedding! I have been going to Maggie for a couple years and have never been disappointed. She is honest, punctual, kind and caring. I have never left Maggie’s business feeling disappointed. She’s personable, professional and nothing less than amazing at her job. I’m a loyal client and recommend her to everyone I can. I will be using her for my wedding day as well and couldn’t be more excited as I know her and her work, I know I will leave feeling nothing less than beautiful for my big day!! Maggie always makes my hair better! She is friendly, thoughtful and up on the latest trends. I am so happy I found her when I moved to Peterborough, won’t go anywhere else! I love going to see Maggie. I have never left feeling like I didn’t get what I asked for. She always does and amaxing job and is awesome to talk to. I love going to get my hair done by her and will continue to use her in the future. I switched from going to a salon in town to Maggie after hiring her to do my hair for my wedding. She’s absolutely amazing! I haven’t left her place feeling anything less then amazing!! And she’s very reasonably priced! I have recommended her to all of my girlfriends! Maggie is amazing! I love my hair now, it has new life and I feel beautiful. The colour and cut are just perfect! Maggie is amazing! I am so glad I found her. I have struggled with hairdresser, then she came into my life changed my hair forever! Her expertise and skills are outstanding! Maggie is absolutely amazing. I’m so glad i found her. She is an extremely knowledgeable hairstylist and the outcome of every look I ask for is always stunning. Maggie always does a fabulous job on my hair! She’s such a nice person & so easy to talk to! Always a great job done! Prompt and courteous service! Will be a customer for life! I wouldn’t trust anyone else with my hair. Maggie pays attention to detail and does a fantastic job, always! Excellent customer service. Maggie Always goes above and beyond to ensure her clients leave delighted. Always happy with my colour and cut from Maggie. Maggie is such a wonderful hairdresser!! She always takes time to listen what I want and discuss all the options with me. She’s like a magician who can always makes me look pretty! Amazing results from visitng Love your Locks. I have red hair and sometime doing something new is hard. She made it look effortless and knew exactly what would enhance my hair colour. Great personality and friendly. Everybody keeps commenting how beautiful my hair. Love your locks is absolutely amazing and incredibly talented! I have worked along side Maggie for weddings and boudoir photo sessions and all my clients are so happy and they rave about their hair and makeup after visiting Maggie! She is a superior talent and I love working with her! Maggie does an amazing job. Fabulous cut! Very professional yet very personal! I have recommended love your locks to others and will continue to do so!! Maggie always does a great job and she’s fun to talk to! Expert hairstylist with amazing personality. Guarantees satisfaction. Always amazing and awesome to deal with. Love when my appointment comes every few months. Super friendly! Maggie is caring, professional, does great work, and is extremely dedicated to her clients. Maggie is amazing! Really listens to what you want and makes sure you walk out of her place looking like a million dollars! Maggie is just amazing! Not only is she a fantastic hairdresser, but she’s cute, personable and stays on top of current trends! Beautiful setting, fabulous owner! I had a wonderful experience with Maggie’s and will definitely return for my next hair cut! I cut 6 inches off my very long hair and I was nervous but I was so impressed and very pleased with the cost and how she styled my hair when she was done. Will recommend Love your locks to anyone and everyone! Maggie is an excellent hair stylist and knows exactly what to do. I am always impressed with her work and she is a very wonderful person. The hairdresser is amazing. She is the only one I trust to do my hair and wax. Maggie is a professional and we’ll practiced hair artist. I’m continually impressed by her services and recommend her to anyone seeking a phenomenal outcome for reasonable prices! Maggie is just plain awesome. I have been going to maggie for quite a few years now and would follow her anywhere..her strive to make me happy and get exactly what I want with my hair is why I keep going back and keep recommending her to all of my friends and family. I wouldn’t go anywhere else. Thanks maggie for always making me look amazing with your colour and cut creations. 🙂 Cheryl. They do an excellent job on our models hairstyles at our Dream Weddings Bridal Show! Maggie is amazing at what she does! I now take my 2 kids as well. Love! Love You Locks! Not only do I always leave looking and feeling great but others compliment me too!! Maggie has been so accommodating of my odd work hours over the years and that just makes her that much more amazing!! Thank you Maggie at Love Your Locks!! I searched for a long time for a great hair stylist locally. Each time I would go, I would spend tons of money and feel sick to my stomach after because I hated my hair. Until Maggie! I walk out feeling amazing and the money spent is so totally worth it!! I had Maggie come to our home to have my bridesmaids and myself hair and makeup done. She was super professional and super accommodating. She did a fantastic job!!! Absolutely love ‘love your locks’. Great customer service I have loved my hair every single time I’ve gotten it done by Maggie. No complaints. Great prices. Maggie really takes the time to make me feel special as a client. Absolutely my favourite place to go. Love your locks did my wedding hair and Maggie did an amazing job. She was very patient and did a fantastic job, very quick too! Would strongly recommend to anyone. Very professional and reasonably priced! Plus she did a fantastic job at my wedding. Maggie went above and beyond for me getting myself and bridesmaids hair and makeup ready for my wedding. Maggie is fantastic. She takes time to really listen to what you want and stops throughout the cut to ensure everything is still ok. Her prices can’t be beat! You can’t get much better than Maggie and Love Your Locks!! I am a client and I have watched this business grow from a passion of Maggie Vanderbyl’s to reality. Maggie is an amazing stylist. Maggie takes the time to understand what her clients want, whether it is a cut or a complete make over. Maggie’s dedication and compassion for the wedding parties she transforms is second to none. Maggie Vanderbyl is outstanding. Great positive attitude. Great, warm workspace. Genuinely loves her profession. I have been going to Maggie for 9 years. In those 9 years she is the only person I recommend. Maggie is talented and knows what she is doing. I’ve been going to her for About 6 years and I always leave happy. She’s also the sweetest person you will meet. Maggie is amazing at colour!! I’ve never left Love-your-Locks without being thrilled with what she’s done with my hair! Friendly, talented and so worth it! Will never go anywhere else!!! Maggie has helped me love my hair again!! She’s very talented, she listens and discusses and she’s adorable!!! Thanks Maggie!! Ive tried a lot of different hairdressers and i have never been satisfied until i found i love your locks. Love your locks owner Maggie is AMAZING. Ive never once left this place of business not feeling like a million bucks. Whether its just a cut or a drastic colour change. Maggie will tell me what will look good and what suits me so im always extremely happy with the way my hair turns out. I recommend her to all my family and friends. The work that is done in this shop is simply amazing. I would recommend Love-Your-Locks in a heart beat! Maggie is the best hairdresser I’ve ever been to! She’s friendly, very flexible and charges reasonable prices! I can’t wait for her to be a part of my big day and do all the hair and makeup for me and my girls!! I’m a huge fan of Love Your Locks because Maggie is a wonder person and business woman! She’s always welcoming and listens well to hair ideas and makes suggestions. I’ve always left so happy with my new haircut and feeling like Maggie cares as well. I cannot say enough good stuff about Maggie and Love Your Locks!! I love maggie from love your locks. She has done my sisters wedding in 2013 and now she will be doing mine and my girls hair and makeup for my wedding this year. She is the real deal kinda girl. Not fake, try to sell you something you dont need. She is honestly the girl next door kinda girl that everyone loves. I honestly feel like she deserves this for all her hard work, and for really making a name for herself! Maggie is the best!!! She is super professional, she can pull off any style you’re looking for and only charges $20 for ladies hair cuts. They also come with free girl chat. What more could a girl want?! Maggie made me believe again that I could look like I did 15 years ago, I didn’t honestly think it was achievable. I couldn’t imagine now trusting anyone else! Maggie is a fantastic person and does a great job every time!!! I look forward to our date every 6 weeks! Maggie dose a fantastic job & deserves this so much she puts her heart & sole into every hair style she dose. Hey does amazing work and is so professional !! Maggie is professional, kind, and a genius with hair! She’s always up to date on the latest trends on styles and colour. She is very detailed in her work, which makes for very happy customers. She also very generous and has donated a lot to local charties, as well as being generous to her clients at holidays. She does an amazing job and her talent shows with her work! Maggie is truly skilled at what she does. She is beautiful inside and out and works so hard to help others feel beautiful. She has been through a lot and deserves this SO much! I first met Maggie for my wedding she was nothing short of amazing and myself and all my girls looked beautiful. I have retuned since to have my hair cut and look forward to continuing to do so! I’m not a frequent customer but a very satisfied one! Maggie transformed my hair! I had a terrible ombre from another salon & she transformed my hair into a beautiful brunette:) so happy with her work! Maggie is a born and raised proud Peterborough native . She is a very talented hairstylist . I always leave feeling fantastic from my experience . 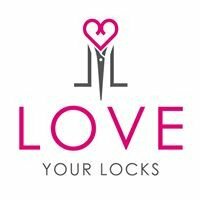 Love your locks is a fabulous company ! Maggie is wonderful. She did makeup and hair for my wedding, and it was stunning, exactly what I wanted! I was referred to her by a friend and continue to go to her through the years. Not only is she great at her profession she is also awesome to chat with! Maggie is very honest. She is awesome at what she does and is able to completely transform your hair. She never disappoints! Maggie does an amazing job on my hair, and she’s always very friendly and professional. Maggie is by far the best overall stylist I have ever met. Not only is she talented and welcoming but listens to what you want done and will advise you accordingly. I have been in the beauty business for over 30 years and maggie should be living in LA or new York doing runway or movie or photo shoot hair but she shares her talent and get sense of humor with us. We are truly blessed by her. Amazing people, amazing work ! Sweet, caring and kind ! I love maggie she is amazing and great at what she does. She is also well mannered and listens to what you want. The studio is super clean and always an inviting relaxing environment. She did my wedding parties hair and she was on time and very dedicated to whT we wanted. Wouldn’t recommend any other then her. Maggie is great! She is dedicated to her clients! And amazing at what she does! She is an amazing hair dresser, she makes you feel so comfortable and does everything she can to get your hair to what you want it to be! I definitely won’t go anywhere else ever again! She’s the bomb! You can always expect exceptional, friendly service and quality styling. She is always accommodating on those days I have to bring my son. You can tell Maggie loves her job! Maggie is always so attentive when listening to what I have in my head for my hair. She can take my vision and make it a reality! She is very professional and accommodating. I won’t go anywhere else! When entering Maggie’s home business you feel a sense of comfort, you’re instantly welcomed. She listen to what you are asking for and goes above and beyond your expectations each time. She is extremely professional but shows interest in your personally interests. When leaving Love Your Locks it is exactly that! You walk out loving the new or refreshed hairstyle and feeling like a million bucks! ?? Maggie is always so warm and welcoming! Great customer service and knows her way around the scissors and straightener!!! Always feel fantastic after spending some time at Love Your Locks!!! There has been way too many times I have done to hairdressers and came out with a hairstyle that looks nothing like I wanted. With Maggie I get exactly the results I’m looking for and without breaking the bank. I won’t let anyone else touch my hair. Love your locks is a comfortable affordable place to get your hair professionally done. Maggie is a wonderful woman and so welcoming. She is very professional but still real. I will not let anyone else touch my hair. Not only do I swear by love your locks for my regular hair needs but I also hired Maggie for my wedding she was amazing I’ve never felt so beautiful! Hair and make up for 4 women done in my own house!! Highly recommend Love your locks to everyone! Love Your Locks is awesome! Service is awesome and prices are very reasonable compared to other hair salons. Personally, it took me a very long time to find a hair dresser who is good at cutting/styling hair without charging so much! If this is what other people are looking for, Love Your Locks is the place to go! Maggie is extremely good at what she does and she always makes sure you are happy with the finished product before you leave! Maggie was able to step in and do my hair and make up for my wedding when my usual stylist was already booked. I was pleasantly surprised and so very happy with how everything turned out. Loved my hair and my make up AND she did my maid of honour too! Everything was exactly as I asked for. I tell people all the time, I’ve never felt so beautiful in all my life. On top of being great as what she does, she’s also super sweet and very accommodating. Great job, and good luck Maggie! Maggie is amazing! Maggie did hair and makeup for me and my wedding party. Not only was she accommodating but her services was great. I was impressed with all her work and would recommend her anytime. Maggie at love your locks is absolutely amazing . She is very professional , adorable and knows what’s she is doing . When you leave her salon you feel soo confident in the way you lock , Thank you for everything you do !!! Maggie is the best hairdresser in town and the only one I will trust with my hair! Maggie is a talented hairdresser. She can do amazing things with updos and colour. The best thing is her personality though! She’s so lovely and you will enjoy the experience as much as what she does with your hair. Maggie is amazing! A super talented stylist, a great ear and a lot of fun! She can fix any crazy hair disaster, and I always leave feeling like a movie star!! Maggie’s in-home hair salon is fabulous – it’s very clean and she is very professional. If you want your hair a certain colour or style she goes completely above and beyond any expectations, the before and after photos she posts are always phenomenal. Maggie is also amazing and very patient with children! I recommend her to everyone and I see others recommending her constantly too! This award would be WELL DESERVED! Maggie has such a natural talent and love for her job and that makes such a difference in her career. I felt 100% comfortable in her opinion while getting my hair and make up done and I was beyond amazed with the results . I recommend Love your Locks to everyone and anyone! Maggie is amazing!! She does my families hair and I have never had a bad experience, very personable and knows her stuff!!! We love going to Love your Locks!!!! Maggie is amazing! From the very first time I saw her I had the utmost confidence in her skills. She took my hair from dull & damaged to beautiful & bouncy. I love my every 8 week hair appointments – I always leave feeling like a million bucks. And as a wedding hair & makeup stylist, she’s equally fabulous. Quick, efficient & does an incredible job making every girl look & feel her very best.